The 7MSN Ranch: What comes after "mutant"? Weighing in at a whopping 3-5/8 ounces, this specimen is a full 20.8% heavier than the previous record-breaking mutant. I'd be looking over my shoulder for an emu if I were you! Twins! And OUCH!, that had to hurt! I get my eggs from a guy a work, and it's funny to look in the carton. They come in a wide range of sizes every time! Are you sure there's not a duck hiding in the hen house? Wowzer! Holy Mother of Yolks! That's enormous! Waouh! 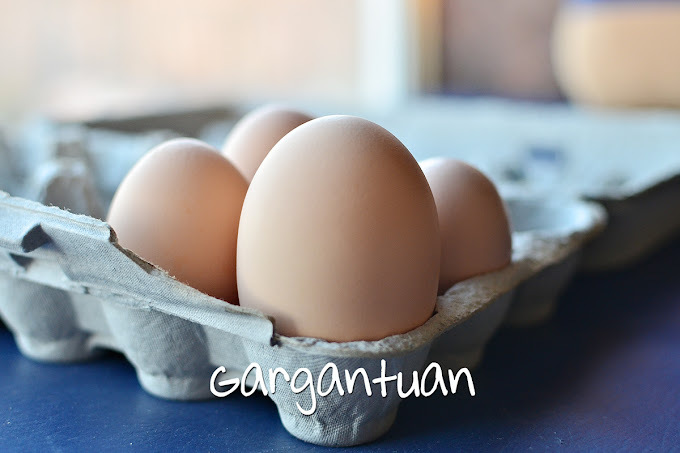 I love the name of your new egg category!! 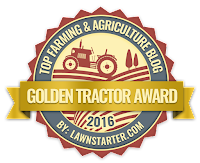 plus double yok, this is amazing - you have the only super duper hens in the country! must be all your TLC tender loving care! Look for the hen that is wobbling and bowlegged!!!! That must have hurt!!! Double yokers are always a welcome surprise in my house! Gotta love 'em. I'm loving the idea of a webcam in the henhouse. Ouch from me too. How does that thing get out? Have you measured the diameter? Now I'm hungry. Sounds like it's never a dull day in the middle of nowhere. Thanks so much for posting daily. I look at your blog first thing in the morning and you never cease to amaze and amuse me every time. If you figure out who dunnit you can name her Gargantu-hen. 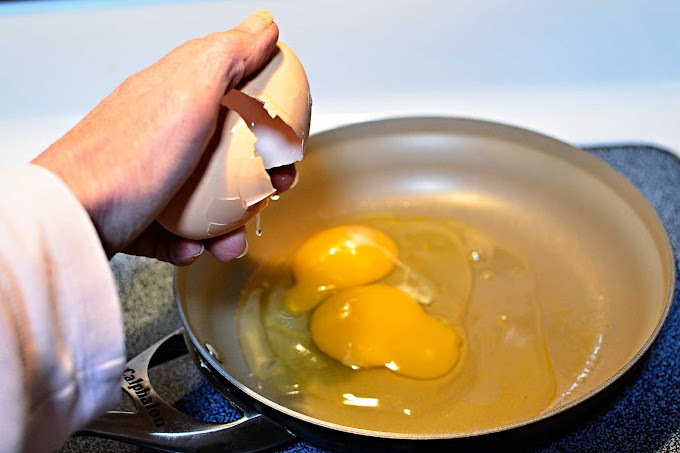 That makes one mighty big one-egg-omelette! Poor hen. Whoever did it would be pleased to hear all the "clucking" about it in the comments. It doesn't take much to make me wonder about things and this egg did it. I discovered that a hen in Cuba laid an egg weighing 180 grams, or 6.35 oz. 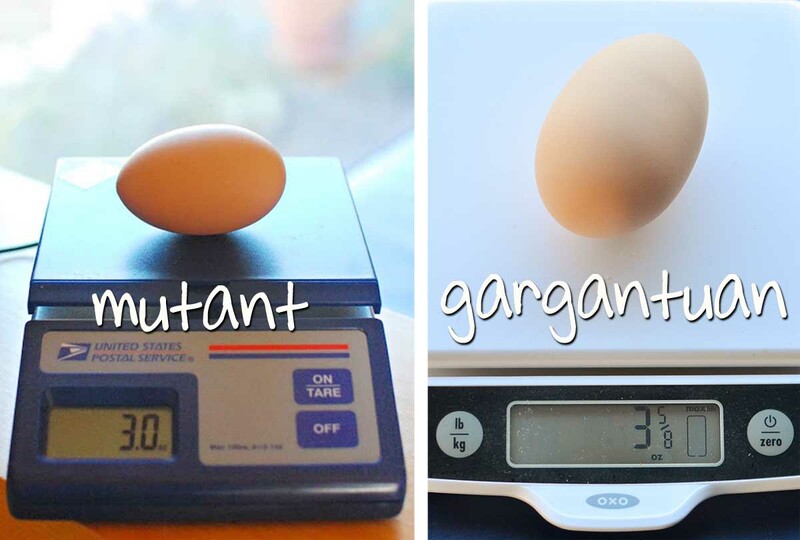 Not being convinced I had found the largest chicken egg, I went back to my search results and found that there is a recorded egg weighing almost 12 oz. and was over 12 inches around. The web site didn't say if the chicken survived that one! I wonder, too, what your hens have been eating these days to produce such a gargantuan egg. 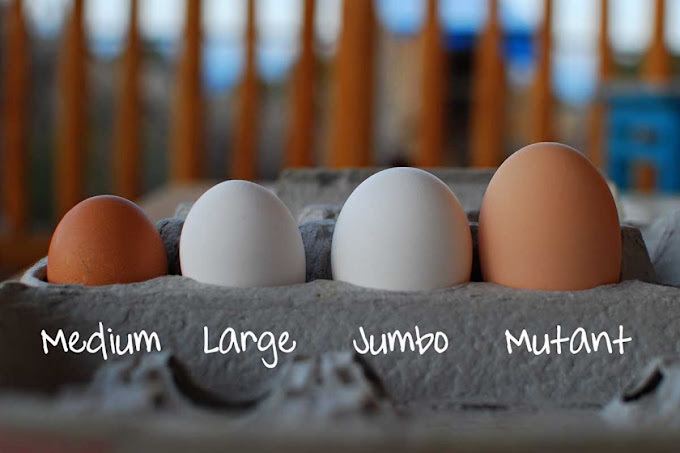 Diet has to influence egg size. How many spiders, mice or birds would it take? 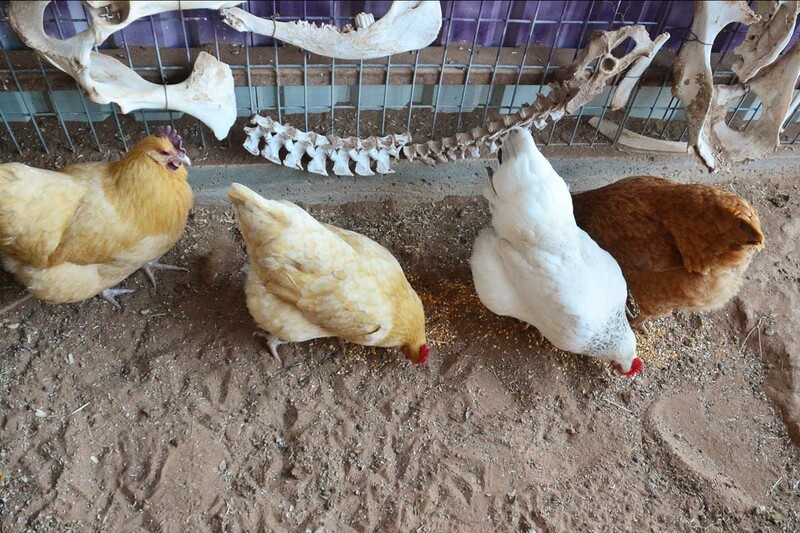 Maybe its a rooster that just finds goodies for certain hens. It might be chicken romance or you know, something like that.